Transform your tone with the Dirty Robot Synth e-pedal. 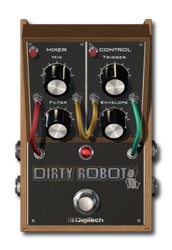 Dirty Robot takes your tone to new dimensions by modifying your guitar signal with sub-harmonic and filter synthesis. 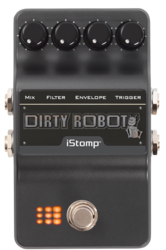 The MIX knob provides a wet/dry mix between your guitar signal and the synth effect. The FILTER knob controls the amount of square-wave synthesis added to the sub-octave signal. 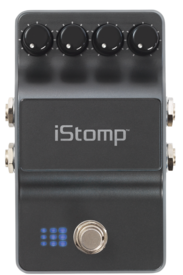 The ENVELOPE control selects the filter sweep with both Rise and Fall options and variable time ranges. TRIGGER controls the trigger sensitivity for the effect. 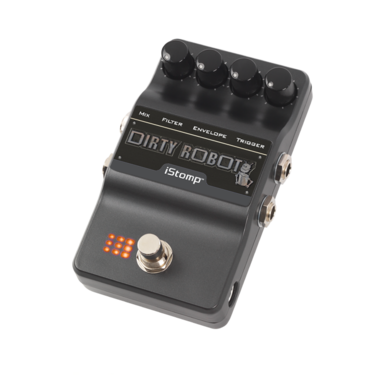 Use Dirty Robot subtly for great single note synth bass lines or turn it way up for retro analog style filter sweeps solo riffs. MIX - Controls the mix of the synth and dry signals. FILTER - Controls the amount of square wave synthesis added to the sub-octave signal. 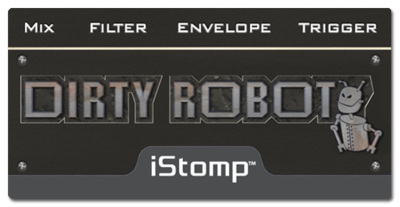 ENVELOPE - Selects Rise or Fall envelope sweeps with variable sweep time. TRIGGER - Controls the envelope sweep sensitivity.